Slate inlays, solid wood construction, and oak veneers with a rustic finish make this accent table group a great fit for your living room or den. 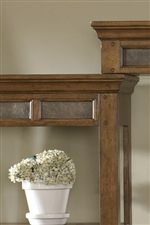 Each table features a bottom shelf to organize family room clutter or display decorative boxes and works of art. 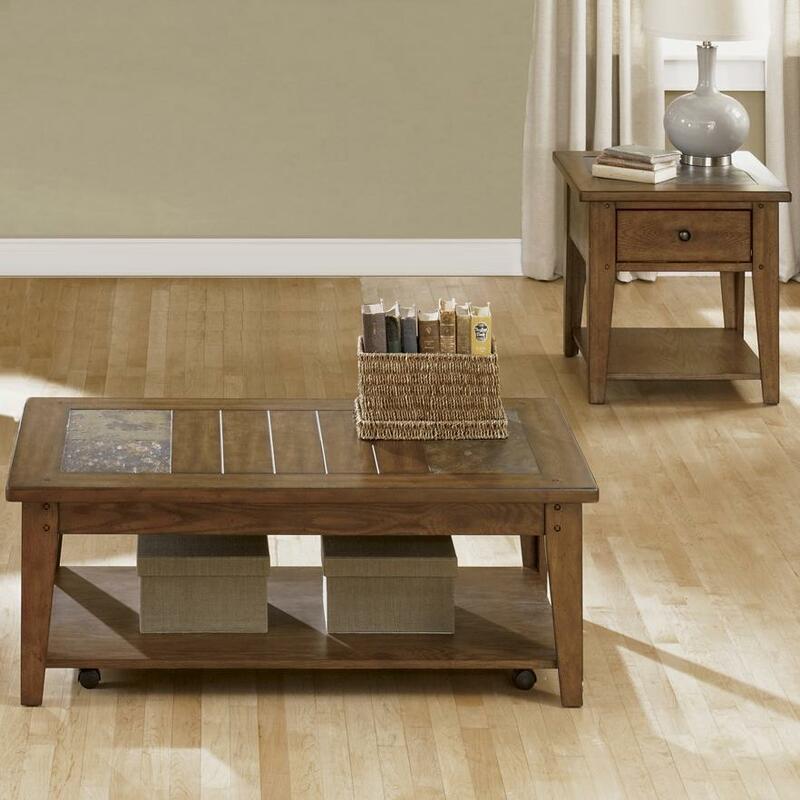 Hide remotes and reading glasses in the end table drawer to keep your common room clean for guests. Simple frames with a casual mission style make this occasional group great for a heavily trafficked family room or cozy den. This group includes one cocktail table and two end tables. The Hearthstone Occasional Set with Cocktail Table and Two End Tables by Liberty Furniture at Suburban Furniture in the Succasunna, Randolph, Morristown, Northern New Jersey area. Product availability may vary. Contact us for the most current availability on this product. Feature the Hearthstone collection in your home for an innovative approach to Mission decor. Offering furniture for the master bedroom, formal and casual dining room, office, youth furniture, living room and occasional pieces, this collection features plank and wooden peg accents, tapered block legs, spindle back chairs, natural slate inlay tops on select pieces and solid wood construction throughout. All drawers feature dovetail joinery and fully stained interiors. The Hearthstone collection is built to last and built to please. The Hearthstone collection is a great option if you are looking for furniture in the Succasunna, Randolph, Morristown, Northern New Jersey area. Browse other items in the Hearthstone collection from Suburban Furniture in the Succasunna, Randolph, Morristown, Northern New Jersey area.